In February 2014, Crunchyroll followed the lead of Viki and DramaFever and entered the competition for streaming of Korean TV dramas in the U.S. and Canada, with a service called “KDrama”. After the service has likely struggled to find its audience, Crunchyroll and Soompi have concluded a partnership to launch SoompiTV. 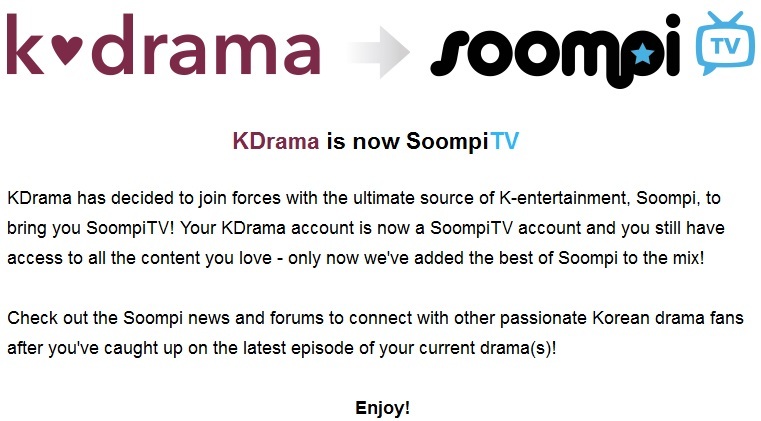 Soompi is the longest running English-language K-pop and culture website, founded in 1996. There has not been any official press release about it yet, but the website indicates that all subscribers will have their information transferred to the new website. The service remains the same with a 6.95 USD subscription fee per month, and a special offer for 60-day free premium access. 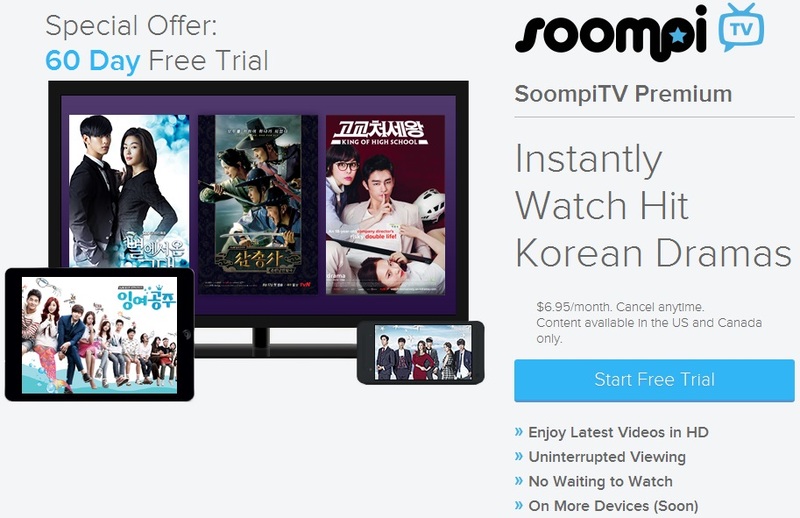 The SoompiTV service is operational since October 8, currently still available in the U.S. and Canada only. Subscribers can already watch 184 Korean dramas, including 17 in simulcast, 33 Korean movies and 3 variety shows. Soompi TV exclusives include Gapdong, The Three Musketeers, King of High School, MNet M-Countdown 2014 and brand new dramas include Three Days, You’re All Surrounded, Triangle, Plus Nine Boys and Cheo-Yong: The Paranormal Detective.